Nowadays ATS software becomes increasingly popular. No recruiter can work as effectively as with diverse tracking systems. It is worth mentioning that recruiters get hundreds of resumes per one job opening and the screening process enables them to facilitate this time-consuming stage. In this article you will discover what applicant tracking system is and why it is so important for your resume and for the overall employment process. Many young professionals are actually struggling with their job search. Often you can see that even some entry level positions require years of experience. It may seem that it’s almost impossible for new college grad to get hired. But we created a list of jobs that require little to no experience! Keep reading in order to discover your career guidance and jobs that don’t require a resume with extensive working background. 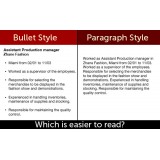 Creating a well-written and professional-looking resume is a tough task. You have to arrange all your skills and achievements and organize your work history in an easily readable way. Therefore, it’s of paramount importance to determine whether you will use bullet points or paragraphs. 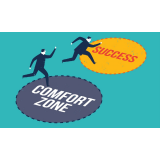 It may seem to you that stepping out of your comfort zone is the synonym of going mad, but actually only such experience can result in what is best for you. Why are internships important for your CV? Writing a student resume can be daunting. And one of the most common questions that occur is the importance of internships in a CV. Let’s see how to put internship on resume and how it can help you to get a job. If you are wondering do you need a cover letter while looking for a job, the answer is YES. It is true that some recruiters don’t pay attention to this part of a job application, but you cannot neglect the impact of an effective cover letter on your job search outcome. Keep reading what makes a good cover letter and afterward, you will certainly get a job interview invitation. Most hiring managers use it for candidate sourcing and LinkedIn is the most important one. If you still don’t have a LinkedIn profile, you should get it on the spot. At first glance, it can seem that LinkedIn profile creation is similar to resume writing, but it has some differences and advantages! If you already have one, it is high time for quality changes. This guidance will show you how to create a Linkedin profile that will entice any recruiter to call you. 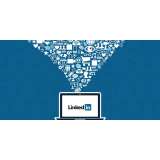 Check out LinkedIn profiles best practices! A cover letter is a great tool that can enhance your resume. Don’t think that cover letters are old-fashioned. It is so not true! 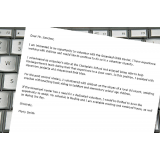 More than a half of recruiters will appreciate a well-written applicant’s cover letter. 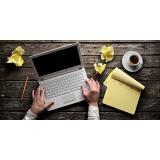 But writing a good one can be challenging for job seekers. So let’s discover how to write a great cover letter that will set you apart from other candidates. 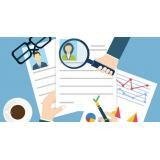 Knowing the difference between a job application and a resume is of paramount importance. The process of applying for a job include submitting two different types of documents: a resume and a job application. At first glance, it can seem that these are two similar documents with the same information, but you are mistaken. Let’s discover what is the essential distinction between them in order not to screw up your employment process.